Free workout plans. Free workout routines. Free exercise programs. We are starting a series of publications helping you to find a workout plan which suits your needs. 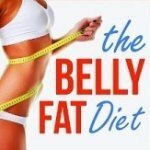 Whether you are looking for exercises to lose weight quickly, exercises to burn fat and build the muscle, workout routines for toning, weight training workouts, running programs to improve your cardiorespiratory endurance or fitness, remember that the best weight loss exercise program for you to use, is the one that you will enjoy doing the most and will be able to sustain for a long time to get the results. Getting into shape takes determination and commitment - after all, if you are not into exercising you are less likely to workout. Before even considering our free workout plans, consult your doctor to make sure you are physically ready to attempt an exercise training program. Keep your diet under control and get enough rest. This running workout plan will teach you how to start running in 3 easy steps, beginning from the point that you have never done it before and progressing gradually to the point where you are training for long distance running. The duration of the running training plan is 12 weeks. Step 1 is jogging tips for beginners: things you should know about running shoes, running cramps, controlling your breathing, etc. before starting your running workout. Step 2 is a running training schedule which includes interval fitness training. Step 3 will help you to build your fitness or running endurance, improve your speed and get ready for long distance running. These cardio and weightlifting workout routines were developed by one of our readers Bob Jones from Texas to help him to return to a good level of cardiovascular and muscular fitness after his ankle surgery. This free exercise program combines a cardio workout routine and weight training for beginners, consisting of various exercises to build muscle. 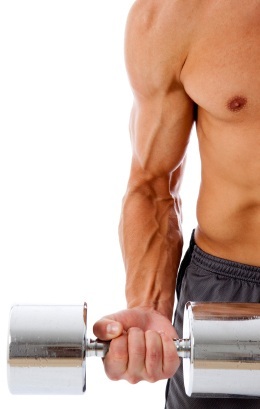 Lean muscle will help you to burn more calories and lose weight much quicker. Start your workout with stretches, then onto the upper body exercises: abdominals, biceps, lats, pectorals and tricep exercises, then onto calf raises, finishing the workout with cardiovascular exercises on the treadmill and a bicycle. The heavier you are the more calories you will burn during simple workouts, so it is much easier to lose 20 lbs at the beginning of your weight loss journey than 10 or 5 pounds later on. If you want to lose 20 pounds, small but consistent effort will do wonders. Most of all, you need to avoid injuries, as excess weight makes exercising harder on your joints. That is why it is so important to start with strength training for beginners and slowly progress to more advanced free workout plans below. Twice a week do at least 30 min of moderate intensity cardio exercises such as swimming, running or a cross trainer routine to build endurance, plus do this strength training routine 2 - 3 times a week. So, you have 10 pounds to lose. The best fat burning exercise routine for you is strength training. This is because resistance workouts are the best way to build lean muscle. 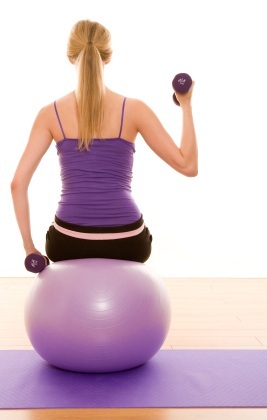 Toned muscle will help you to burn more fat during and even after your fat burning exercises. New research found that women who did strength training exercises boosted their resting metabolic rate, and continued burning calories for up to 16 hours after their workout. So, to increase your metabolism to lose weight, do this resistance workout 3 times a week in combination with your interval running program or cardio interval training twice a week. The closer you get to your ideal weight the harder it is to reach. Maybe you have reached the point where your weight loss has slowed down as your body has adapted to your fat burning workout routine, or you have even reached a plateau, that frustrating point when your progress has stalled. The answer to preventing or overcoming the plateau effect is in changing your fat loss exercise strategy: intensify your workout with interval training and speedy plyometrics. Very fast explosive exercises such as plyometrics are very good for shedding the last pounds, as they increase your heart rate and work multiple muscles at the same time. Do your interval training twice a week and the plyometrics training with the top 5 exercise plateau breakers, 2-3 times per week. We hope you enjoy our free workout plans.